At GemSeal, we are customer focused. It is not just something that we say or promote as one of our core values, it is something that is ingrained in our culture. In fact, from time-to-time, we like to shine a spotlight on instances that exemplify our commitment to keep our customers at the center of all we do. In doing so, we also recognize our employees as the heroes behind the service. 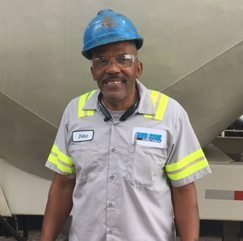 Customer Service Hero: Bobie Anderson is one of our team members at the GemSeal manufacturing plant in White Marsh, MD. 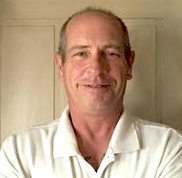 He has been with GemSeal for over 4 years and is responsible for delivering bulk sealer loads to customers throughout the Mid-Atlantic Region. Challenge: Our customer, AE Stone, Inc. located in Egg Harbor Township, NJ, rented a Cimline unit from the GemSeal One Stop Shop in Baltimore. AE Stone was working on a large joint adhesive project with tight time constraints. While working overnight, an operator accidentally damaged the unit rendering it inoperable. AE Stone contacted the One Stop Shop for help. Solution: The One Stop Shop sales manager worked quickly with Warren Rumer, our plant manager located in White Marsh, MD, to remedy the situation. Warren dispatched Bobie Anderson to the customer’s location in Egg Harbor Township. Once he arrived, Bobie picked up the Cimline rental unit and delivered it to a specialty repair facility in Collegeville, PA. Realizing that AE Stone would need the machine to work that night, Bobie remained at the repair facility until the unit was ready for service. He then set out on the road again to return the Cimline rental unit back to AE Stone. He arrived in time for the customer to commence work that night, which prevented any downtime.